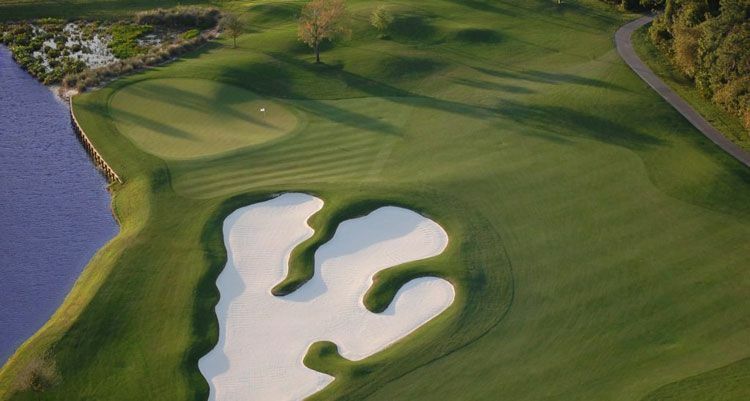 The Kissimmee Family Golf Classic, a 54-hole tournament featuring a star-studded golf course lineup, has unveiled the anticipated event’s official accommodations partners. The tournament’s host properties - Reunion Resort, Fairfield Inn & Suites, Meliá Orlando Suite Hotel, Red Lion Hotel, Seralago Hotel & Suites, and Days Inn Kissimmee - are offering players special discounted rates, enhancing the value of a tournament open to any combination of family members. Cost of entry is just $799 for a team of four and the Kissimmee Family Golf Classic will be held June 20-23. Tournament rounds will be held at the Nicklaus and Watson Courses at Reunion Resort, one of Florida’s premier facilities, and Celebration Golf Club, an unforgettable co-design of industry legends, Robert Trent Jones Jr. and Sr.
Reunion Resort offers players a luxury stay-and-play option and access to the resort’s premium amenities, including a waterpark, fitness center, and six exceptional dining venues. Fairfield Inn & Suites Orlando Kissimmee/Celebration is just minutes from the tournament’s host courses and the area’s famed theme parks. Players will enjoy thoughtfully designed guest rooms and suites and the quality associated with all Marriott properties. Meliá Orlando Suites Hotel at Celebration allows families to stay and play together in one or two-bedroom suites. Guests will also enjoy privileges at AdventHealth Wellness Center, which is within walking distance of the property. The Red Lion Hotel Orlando-Lake Buena Vista South showcases a central location and beautifully appointed, modern rooms. The property features a lazy river, perfect for post-golf relaxation, and a Mexican restaurant onsite. Seralago Hotel & Suites Main Gate East, a 614-room property, is a short stroll from the shopping and dining of Old Town Kissimmee and an easy drive to the host courses. Days Inn Kissimmee will provide players comfort, convenience, and value as they compete in the Kissimmee Family Golf Classic.